CE3000 is an accredited provider of continuing education for the Emergency Medical Service and Registered Nursing professions. We provide online continuing education that you can complete "anywhere - anytime" from any computer with an Internet connection. You can purchase CE courses from CE3000 one course at a time, in a package, or through an unlimited annual subscription. When you register, our system creates your Personal Journal - a powerful tool that keeps track of your course completions, lets you print course completion certificates and duplicates, and will even send you e-mail reminders before your license expires. 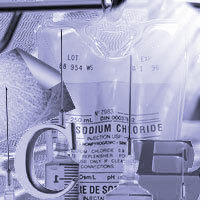 Courses completed on our system are automatically entered into your Personal Journal and you can use the "Add Outside CE" link to put courses into your Journal that you've completed from other providers, giving you one cnetral place to keep track of your progress toward completing CE requirements. When your license expires, the system will send the records of the completed courses from that licensing period to your archive (where you can still access and print certificates), and will give you a clean slate for the new licensing period. CE3000 also provides courses to groups at discount rates, and provides group managers with powerful tools that simplify tracking CE and ensuring your staff are up-to-date and have met continuing education requirements. Contact us for information about our group rates and group manager tools. Our courses have been certified as being "instructor led" in accordance with California's Title 22, and therefore there is no limitation on the number of courses California EMTs and Paramedics can take from CE3000. In order to take a course you must first register.Courses are offered in text and graphics format and many contain streaming media with video, audio, and graphics (click here to view system requirements for streaming media courses). At the end of each course is a short quiz. If you miss a question, you can click on the "Review" button to see the material related to the missed question. If you fail a quiz, you can launch the course again, review the material, and take another quiz. When you score 80% or better on the quiz, you've earned your CE. After passing the quiz, you'll be asked a few feedback questions that help us improve our courses. 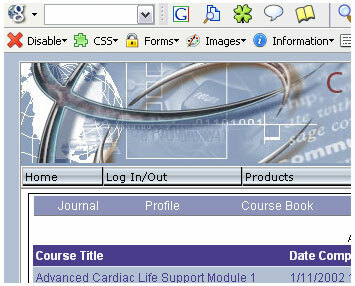 Then, you'll be shown a page that confirms your successful completion of the course. You can click on a link to go back to the course catalog or click on a link to your Personal Journal where you can instantly print your course completion certificate. Our system has several security features that insure that you get credit for the courses you complete and also provide educational soundness and regulatory compliance. For example, course quizzes are randomly generated from a test bank, once submitted for grading you cannot back up and re-submit the same test again, and the time you spend in the course material is monitored to ensure students comply with the regulatory requirements as listed in the enrollment agreement.